The story of the avocado begins long ago. The superfood is native to Central Mexico, and it’s believed that the first guacamole was enjoyed by the Aztecs in the 16th century. 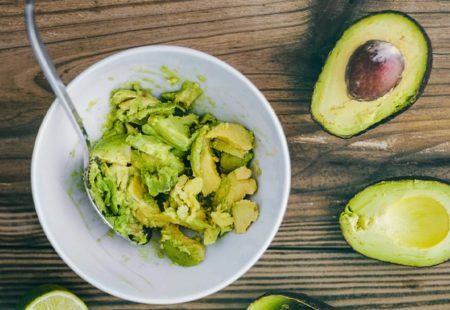 Today, the Hass avocado is the most popular kind of avocado in the U.S.
We exclusively use Hass avocados in all of our products for their creamy, delicious flavor. But where did it start? The Hass avocado as we know it comes from a single tree, planted in the 1920s by a postman named Rudolph Hass. From this tree an entire variety of avocado was born. Hass was so proud of his avocado, that in 1935 he registered it for a patent. Although the patent expired in 1952 and was never renewed, the Hass avocado has had a lasting impact. Today, children of the first Hass avocado tree are growing all over the world producing what many say are the best avocados on earth. You can learn more about Hass avocados at avocadocentral.com. Did you know that avocados are considered a superfood? There are lots of reasons why. They’re one of the best sources of monounsaturated fat—a good fat. Plus they’re actually a fruit! Why do avocados get brown spots? Just like apples, they turn brown when they’re exposed to oxygen. It’s completely normal. Citrus helps keep avocados from turning brown. If you want your guacamole to stay nice and green, add a little lemon or lime juice and your guacamole will keep its color. Eventually it will still turn brown, but a nice squeeze of citrus helps slow that down. It also enhances the flavor! Use these three tips to freeze Wholly Guacamole® packs so they’re ready whenever you are.